2016 features a brand new, never-before-seen holiday light experience! Luminaria will be set within the 55-acre Ashton Gardens which is our second home during the summer. We are super excited this winter it features a million different lights on display. The general public can join in from November 25-December 31 (closed Sundays, Christmas Eve & Christmas Day). First we had fun visiting the Poinsettia Pathway. Next, I started skipping down Candy Cane Lane with happiness. All of the lights are really awesome and the music helped make it feel so magical! Look how pretty all of the lights are on the trees! We remember seeing people starting to hang lights up months ago getting ready for this spectacular event. We visited two of Santa's reindeer at the Reindeer Woods. After that we both got a delicious cup of hot chocolate to enjoy for the rest of our fabulous journey. We absolutely loved the nativity scene before entering the new Light of the World Garden. Glowing lanterns and peaceful music accompany this space featuring 35 monument- sized bronze sculptures depicting scenes of Jesus Christ. Another one of our favorite stops was at S'mores Village. It is filled with intimate fireplaces where families can make their own s'mores. There are some fabulous games for the family to play in this area as well. We had fun looking inside the cute little gift shop. The Waffle Wonderland featured some yummy must try treats. Snowflake Lane lead us to a giant snowman that had cool blue lights going up and down the trees! We felt like little kids again singing Frosty the snowman as we looked up with wondrous eyes at the brilliant snowman! My hubby and I give this fantastic experience a huge thumbs up! We loved it and plan on making it a new yearly tradition. It was a wonderful, romantic evening! Thanksgiving Point is a 501 (c)(3) nonprofit organization comprised of a farm, garden, and museum that are collectively dedicated to providing opportunities for transformative family learning and fostering an environment where positive, meaningful experiences naturally happen. 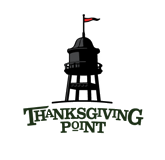 Created in 1996 by Alan and Karen Ashton, Thanksgiving Point has become a center of community engagement for more than two million annual visitors from all 50 states and around the world. Thanksgiving Point is located at 3003 North Thanksgiving Way in Lehi. For more information, call 801-768-2300 or visit thanksgivingpoint.org.